However, I contend that it does make sense because the issue of participation in citizen science and “what exactly the word participation mean?” is not that simple to answer. 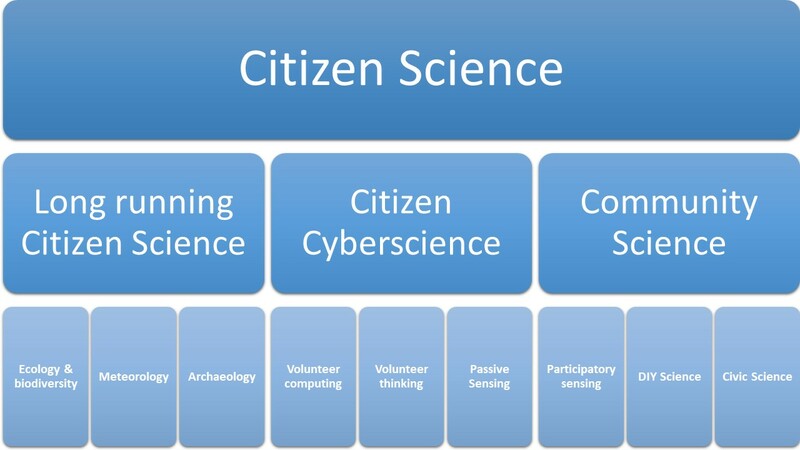 A good demonstration the fact that participation is not that simple is provided through to frequent references to Arnstein ladder of citizen participation in the literature on citizen science. It is something that I have been exploring in various papers and in my research. The chapter itself is a polished, peer-reviewed, version of my keynote from the ECSA 2016 conference (and the blog that accompanied it). It is an investigation into the meaning of participation and starting to answer who participate and how they participate. The chapter leads towards a 2×2 typology of the type of participants and the depth of engagement across projects. Common conceptualisations of participation assume high-level participation is good and low-level participation is bad. However, examining participation in terms of high and low levels of knowledge and engagement reveals different types of value in each case. The spectrum of citizen science activities means some are suitable for people who have education and knowledge equivalent to PhD level, while some are aimed at non-literate participants. There are also activities suitable for micro-engagement, and others requiring deep engagement over time. You can find the chapter here. In addition to the introduction and conclusion chapters in the book “Citizen Science: Innovation in Open Science, Society and Policy“, I have contributed to content chapters that are at the body of the book. Daniel Wyler, from the University of Zurich, led on the writing of the chapter “Integrating citizen science into university” and I joined as a co-author. Daniel has a significant experience as a senior manager at the University of Zurich and became interested in citizen science a few years ago. He led the development of the report of the League of European Research Universities (LERU) on citizen science in 2016, on which this chapter build. He also initiated a large citizen science centre at the university of Zurich and ETH – one of the first in the world. The chapter was written in a way that it can be used to encourage universities’ senior leaders to adopt citizen science activities into their operations. We describe how it can enhance research activities, teaching, linkage to society, as well as open up the scope for new funding and resources. We also emphasise the unique role of universities in the field of citizen science and list nine challenges: identifying what is the right balance of citizen science projects in the wider range of projects; maintaining quality and impact; improve openness and transparency; strengthening learning and creativity; optimising organisation, communication, and sustainability; establishing suitable credits and rewards; increasing funding for citizen science projects; and striking a new balance between researchers and society. Universities are an integral part of citizen science activities. Universities gain breadth and strength in research by adopting and supporting citizen science, which consolidates their position and recognition in society, brings new resources and increases public trust in universities. Universities contribute to citizen science by providing professional infrastructure, knowledge and skills; ethical and legal background; educational facilities for present and future citizen scientists; sustainable teaching; and funding. University engagement in citizen science faces a number of challenges, which can be managed through project planning and the support of funders and policymakers. The chapter can be found here (as the whole book – it is free for reuse). As part of the editorial team of the book “Citizen Science: Innovation in Open Policy, Science and Society“, I have contributed by working with the authors of chapters, organising the orders of the chapters, managing the peer review process, and so on. In addition, I was involved in the writing to 4 chapters out of the 31 in the book – this post, and the three that will follow it, are here to provide some context to them. As common in edited books, the editorial team collaborated on the opening and closing chapters. For the opening chapter which is titled, similarly to the book “Innovation in open science, society and policy – setting the agenda for citizen science” the editorial team as a whole collaborated. In this chapter, we start by helping people who are not familiar with citizen science with some definitions, a bit of history of where it came from, and a note about the diversity of citizen science across scientific areas. We then introduce the three areas that the book covers in its sections: policy, society, and science. We start with policy and the way in which citizen science is being integrated into government operations and policies, with an example of the process in Germany. We then move to the societal contributions – such as outreach to new communities that are under-represented, or linkage to the higher-education system; Finally, we discuss the link between citizen science and Open Science. We then describe the different sections of the book and the logic of organising the chapters in the way they are, and finally cover the extensive set of case studies that are included in the book – One of the elements that we focused on during the development of the book so it includes a large number of them. I am very happy that the chapter is opening with a quotation from Sharman apt Russel’s Diary of a Citizen Scientist (p. 14): “This is renaissance, your dentist now an authority on butterflies and you (in retrospect this happened so pleasantly, watching clouds one afternoon) connected by Twitter to the National Weather Service. This is revolution, breaking down barriers between expert and amateur, with new collaborations across class and education. Pygmy hunters and gatherers use smartphones to document deforestation in the Congo Basin. High school students identify fossils in soils from ancient seas in upstate New York. Do-it-yourself biologists make centrifuges at home. The chapter is freely accessible, on its own, from JSTOR, here. The purpose of this way of presentation is to provide a way to guide my audience through the landscape of citizen science (see examples on SlideShare). The reason that I came up with it, is that since 2011 I give talks about citizen science. It started with the understanding that I can’t explain extreme citizen science when my audience doesn’t understand what citizen science is, and that turned into general talks on citizen science. Similarly to Caren Cooper, I have an inclusive approach to citizen science activities, so in talks, I covered everything – from bird watching to DIY science. I felt that it’s too much information, so this “hierarchy” provides a map to go through the overview (you can look at our online course to see why it’s not a great typology). 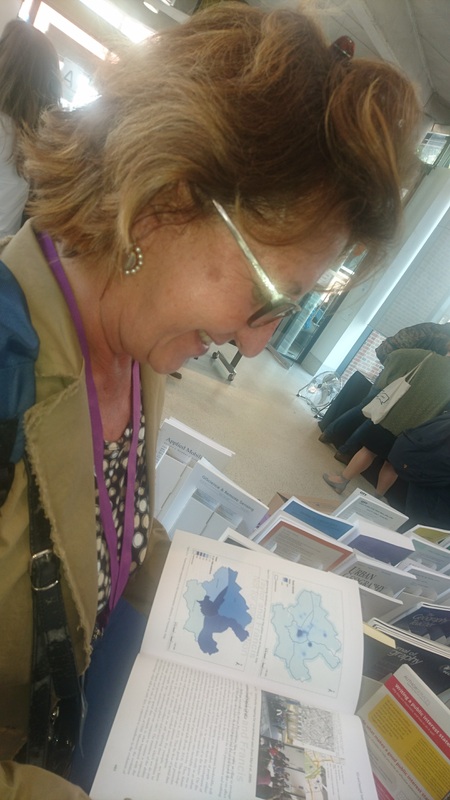 It is a very useful way to go through the different aspects of citizen science, while also being flexible enough to adapt it – I can switch the “long-running citizen science” fields according to the audience (e.g. marine projects for marine students). An invitation for Pierre-Philippe Mathieu (European Space Agency) in 2015 was an opportunity to turn this mapping and presentation into a book chapter. The book is dedicated to “Earth Observation Open Science and Innovation“ and was edited by Pierre-Philippe and Christoph Aubrecht. When I got to writing the chapter, I contacted two researchers with further knowledge of citizen science and Earth Observation – Suvodeep Mazumdar and Jessica Wardlaw. I was pleased that they were happy to join me in the effort. Personally, I’m very pleased that we could include in the chapter the story of the International Geophysical Year, (thank Alice Bell for this gem), with Moonwatch and Sputnik monitoring. 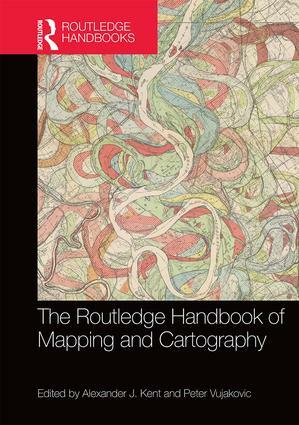 However, with a price tag of £195 for the Book, this collection is expensive and suitable for university libraries and to professional or commercial mapping organisation. The eBook is £35, which makes it much more affordable, though having used the online system, the interface could be better. Luckily the policy of Routledge permits sharing the chapters on personal websites. Since the first Eye on Earth conference in 2011, I started thinking that we’re moving to a new era in terms of relationships between experts and the public in terms of access to environmental information and it’s production. I also gave a talk about this issue in the Wilson Center in 2014. The three eras can be summarised as ‘information for experts by experts’,’information for experts and the public, by experts, and in experts language’, and ‘information for experts and the public, by experts and the public, in multiple forms’. Haklay, M., 2017, The Three Eras of Environ-mental Information: The Roles of Experts and the Public, In Loreto, V., Haklay, M., Hotho, A., Servedio, V.C.P, Stumme, G., Theunis, J., Tria, F. (eds.) Participatory Sensing, Opinions and Collective Awareness. Springer. pp.163-179. The book includes many other chapters and I’ll put several of them online later in the year. you can find the book on Springer site.